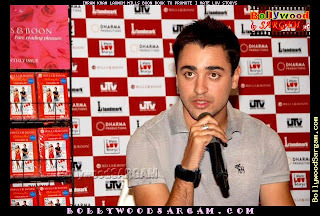 Hand Readings of famous people: Ranbir Kapoor or Imran Khan - Whose hand and future is better? 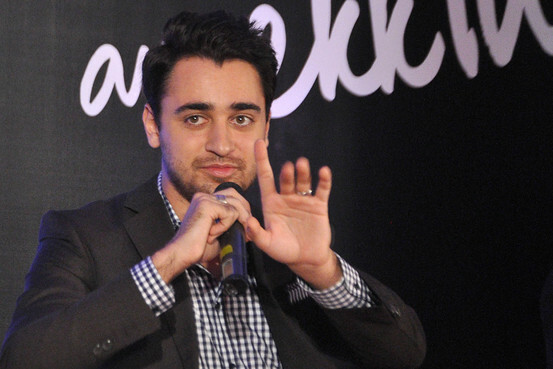 Ranbir Kapoor or Imran Khan - Whose hand and future is better? Ranbir and Imran are the two stars on the Bollywood horizon and they couldn’t be more different. Whose hand is better? Can their hands tell who will outpace the other? And what does the hand tell us about their personalities? A comparison of their hands can indeed tell who is better suited to the acting profession and who will make waves, although I am restricted by the poor quality of their hand photographs available on the net. of the Mount of Moon, the Mercury and Apollo fingers show that both these hunks have acting talent although Ranbir scores higher in this department. Both of them have well developed Moon mounts, and one can even call it the creative bulge. Possibly Imran's moon mount is higher but his Mercury (little) finger is average. They both have good first and second phalanges, but Ranbir's fingers are longer. Ranbir's hand shows superior acting ability. The left (passive) hand of Ranbir indicates that acting comes naturally to him, that his acting talent is inborn. His environment must have kept this talent alive. There is a good chance that he will become an even better actor as time goes on. But then acting ability is not the overriding factor ensuring stardom in Hindi cinema. Check out Imran's hand photo here and here. Check out Ranbir's hand photo at this link, and also here. There are other aspects of personality that need to be taken into account. If one looks at the other personality characteristics, Ranbir is more savvy, can be manipulative and is quick to evaluate. His judgement will be better. His understanding of money is better. And he has the ability to get into the details of his craft. Both have average Upper Mars mounts, although Ranbir's could be slightly better and he has a good Mercury mount as well. Both have long Apollo (ring) fingers. There is a desire for fame, but Ranbir's Apollo finger leans towards Saturn, and is slightly bent. Ranbir has a good Saturn finger, while Imran's is shorter and slightly bent. He is more of an inward person, and his ambition would be to perfect his craft. This is a great quality for anyone to possess. Imran could well be a cynic. This affects the quality of resilience. Ranbir has more staying power. His craft matters above all else. Oddly though Imran is more ambitious and wants fame more than Ranbir does. This means that he could be in a hurry to prove himself, but could get discouraged faster. Ranbir is capable of biding his time and can be a cool customer. Perhaps the fact that Ranbir has grown up in the limelight has watered down his strong desire for fame. Perhaps. Or perhaps it is intrinsic to his nature. He takes his work very seriously indeed and his desire for fame and the seriousness and focus he puts into his work is in balance. He will not expect more than he gives. This is not to say that Ranbir is not ambitious. He is, it’s just that he is not in a hurry. Imran is talented, but to him acting is just another route to fulfil his ambitions. As people, these two are very different. Imran’s low-set thumb, the broad palm and long, curving heartline tell us that he is a generous, compassionate and open person. Ranbir is more self-centred, and could at times see issues only from his own perspective. He is also more of a closed person. This usually affects personal relationships as such people are often wrapped up in themselves. Imran is unselfish and giving. Imran’s nature is such that he is likely to give a lot of space to his partner, while Ranbir is likely to be more demanding. For all his Casanova image, Ranbir's hand shows that the passionate side of Ranbir's nature is limited. The warmth that he exhibits towards women is likely to be just youthful behaviour. When it comes to real passion it is Imran Khan who wins hands down. Not always do the qualities of deep passion and unselfishness go hand in hand, but in Imran's case they do. It would be interesting to see the hands of these two young men in detail. I could surely tell which one of them is likely to make it big, although from whatever little I can see of their hands, I can take a good guess. I guess you can too from what I have written here. Related Reading: Find out the personality characteristics of Bollywood movie stars, like Hrithik Roshan, Aamir Khan or Salman Khan or Amitabh Bachchan, or Rajesh Khanna or a yesteryear star and famous singer like Kishore Kumar, or Shah Rukh Khan. There are other hand readings which tell you the personality characteristics of the actor from their hands, actors from Bollywood and Hollywood. acting skills apparently aren't such a huge factor for movies...there is an actor in my gym, who told me this..
Been a long time since I saw a hindi film..but they act in more of chick flicks and love stories right? I guess in Indian cinema it is more to do with staying power and contacts. When it comes to the latter, both have heavyweights backing them. But Hindi movies are more than just chick flicks and love stories. The recent one with Hritik Roshan was about a paraplegic. However I did not like that movie much except for the fact that Hritik acted well. Very Interesting. I found that which you said about qualities not going together. I think we tend to associate certain qualities together and see one and stereotype the person without understanding. Hope I am making sense. Yeah sure you are making sense. Human beings are complex and each one of us is an unique combo. That is why no two hands are exactly alike. I think the real character of the people helps them in choosing which projects to work and which to not - that's it. After that, its the director who shapes the movies! I really wish our movies churn out directors like Steven Spielberg and Mani Ratnam more often! They are the real heros. DI, I think so too. Often making the right choice of a film can make or break an actor and for that actors need to be intelligent and sensible. And yeah directors are the main people. We have very few brilliant directors. About Mani Ratman, I agree he is very good, but his latest film Raavan wasn't very good I hear. Bikramjit, no, I read everyone's hands but for private readings I charge a fee. On this blog I read only celebrity hands, from photos which are publicly available. How much are your fees for private hand reading? Do we send a picture of our hand or you only loook at our hand physically? It will answer your questions. Sending the photos is not difficult as almost everyone has a digital camera these days. Besides, scans are also accepted. Can you please analyze TomHanks palm please? I will definitely keep that in mind ankycool and will do it if possible. You see, I do the readings of the celebs mostly from the shapes of the hands and fingers and usually there are very few things I can see. If I can find something on Ranbir which I have not written here, I will definitely do the reading. Ranbir's heartline is short but double, what is the significance? is it rare? That is not a short heartline, but a broken one with a large overlap. It can mean several things but I cannot comment on it unless I see the whole hand properly. And no it is not a rare sign at all. It is very common. Broken lines, whether life, head or life are common. Reading them requires on to examine the whole hand in detail as the effect of the broken line will be shown on other lines. From seeing the effect, one can guess as to the probable cause.